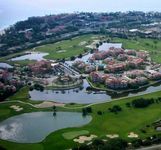 Property 2: Luxurious apartments very close to the beaches with amazing view. Property 10: BON BINI, you are looking for a quiet little resort with swimming pool. Property 16: ELEGANT PENTHOUSE w- PRIVATE ROOFTOP TERRACE ON EAGLE BEACH! Property 22: !!! MAY SALE!!! 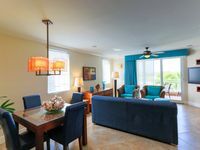 5★ NEW LUX SPACIOUS CONDO ON EAGLE BEACH 2' WALK! Property 23: OCEAN GEM- Brand new condo in award-winning Eagle Beach. Property 32: Cozy apartment, just 5 minutes to Nikky Beach & downtown area. Modern, Stylish And Great Views Apt. In Oceania, Eagle Beach. Families Welcome! Property 44: Modern, Stylish And Great Views Apt. In Oceania, Eagle Beach. Families Welcome! Absolutely beautiful penthouse and everything you could possibly need provided!